The exhilarating feeling at the top of the mountain. The rush heading down. Having the right goggles is essential for being present from start to finish on your next slope day. Ski and snowboard goggles can range in price anywhere from $10 to over $700. While price is certainly a factor in choosing the right pair of goggles, the variables at play when you put those goggles to work are what truly determine their effectiveness. Higher altitudes decrease the protection from UV rays. Snow reflects these ultraviolet rays making it difficult to see, and even damaging to your eyes without proper protection. Ski and snowboard goggles can significantly improve your performance and experience on the slope, but not all goggles are made the same. 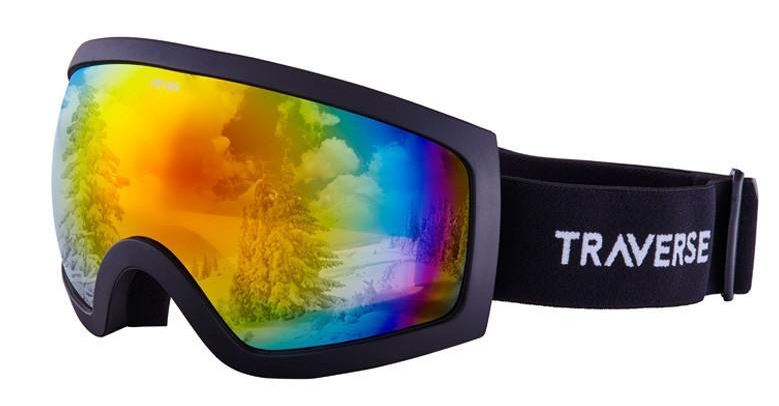 Ski and snowboard goggles almost unanimously comprise of similar components for the slopes. Variations in price boil down to complexities of these features. Dual-layered lenses are found on nearly all goggles. Having the extra layer of lens on a goggle prevents them from fogging up as quickly as their single lens cohorts. Anti-fog coatings on these dual lenses help to do just that - prevent your goggles from fogging up as you speed along. 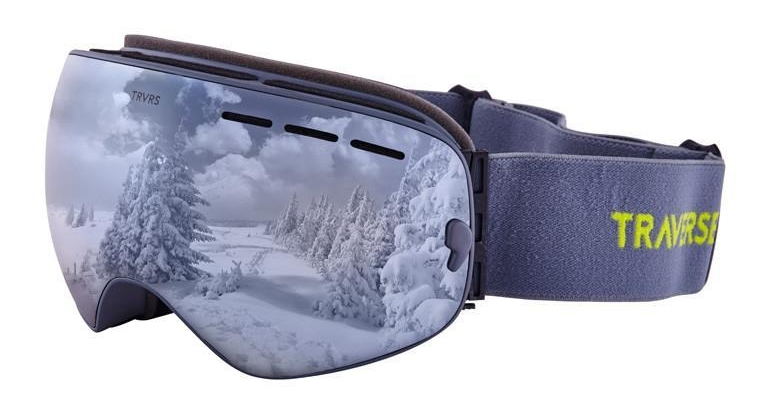 Vents are also apparent on most goggles to reduce the amount of fogging while on the slopes. 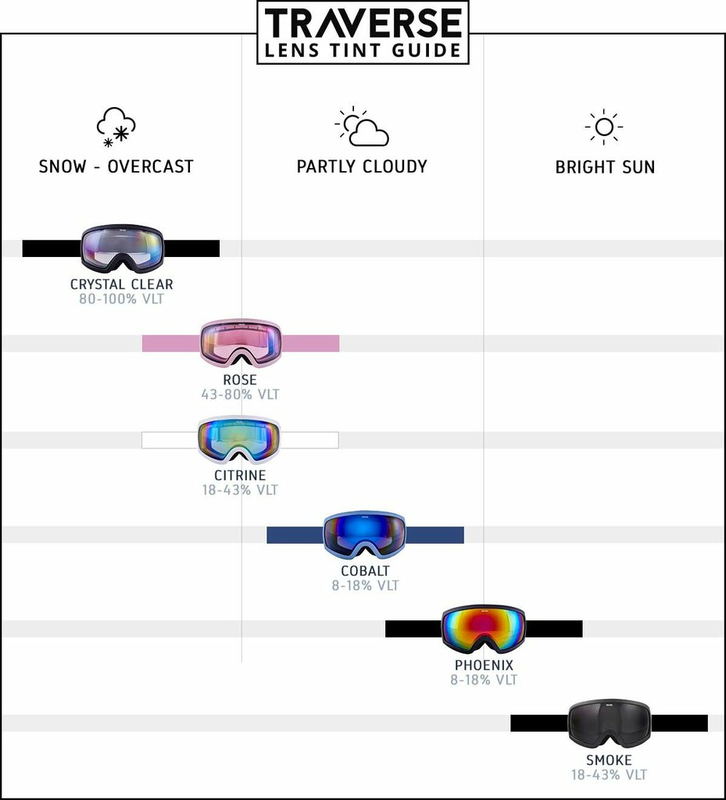 To combat light, most goggles come with varying degrees of tints for different conditions. Visible light transmission (VLT) defines the amount of light that reaches your eyes through a lens. Using goggles that are too dark or too light can severely damage your performance while on the slopes. Breakdown the conditions you’ll typically be venturing out in and go from there when it comes to color. Unsurprisingly, Lighter lens tints pass larger amounts of light and work best on cloudy days. While darker tints, on the other hand, are best for cloudless sunny days. The hue of a lens is mostly reliant on personal preference, however, the varying colors can also make a difference to the amount of VLT allowed in from the lenses. Lastly, clear lenses will almost exclusively be used for night skiing. Some goggles are designed for interchangeable lenses to avoid ever having the wrong lens for the conditions. Typically, models with interchangeable lenses come with one lens for bright days and one lens for darker conditions. Most brands provide lenses sold separately so skiers and snowboarders can find their ideal combination. Without anti-fog components, a goggle is rendered almost entirely useless. Losing the ability to see halfway down the slope is not only frustrating and scary, but it’s also dangerous. Anti-fog technology creates a thermal layer within the lens that keeps your view clear. The frame design of ski and snowboard goggles contribute more than just aesthetics. Your frame should give way for some flexibility to withstand colder temperatures. Flexible frames are typically made with thermoplastic polyurethane to be ready for any type of condition the mountains hand you. Ultimately, finding the right goggles comes down to a handful of factors. Frequency, conditions, and budget. For first time skiers or snowboarders, leaning to the more affordable side of the spectrum can help you figure out what you need, what you don’t, and whether or not it’s worth investing in a more robust and impactful design. Skiing and snowboarding gear can get expensive, and fast. Retrospec is committed to providing quality goods to seasoned and new outdoor enthusiasts alike. We know that a lot of people are quickly priced out of snow sports because of the hefty price tags. We strive to provide an alternative and affordable option for people looking to get outside without breaking the bank. 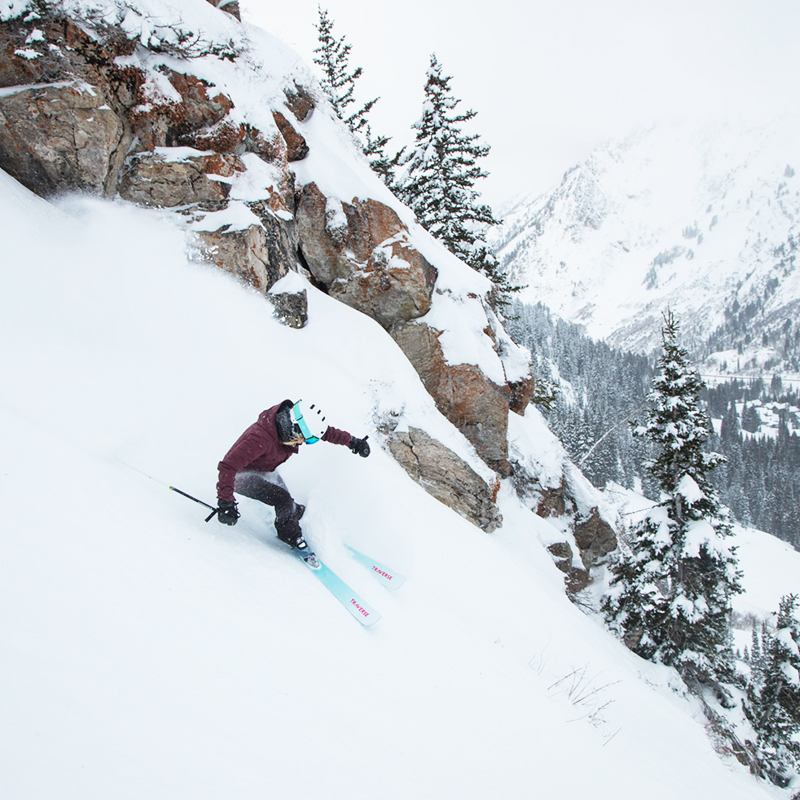 Our snow gear has been tested for the slopes and approved by avid skiers for a fraction of the cost of comparable products. Our Varia Goggles were built with essential optic technologies that make them the perfect companion for a day spent on the slopes. Whether it’s Varia’s ergonomic and flexible thermoplastic polyurethane frame, it’s spherical lens allowing for an unimpeded view of the mountain, or a host of other features, these goggles were created to assist you to perform at the highest level. Selecting the right tint is crucial when it comes to a successful day on the mountain, which is why our Varia goggles are available in six different tints to prepare you for whatever weather condition you may be facing. Varia’s lens provides fundamental technologies to make it one of the most durable lenses on the market and is offered in a variety of tints to suit any riding condition. The 100% UV400 protected spherical lens is curved both horizontally and vertically to provide pristine peripheral vision and protection from the sun. 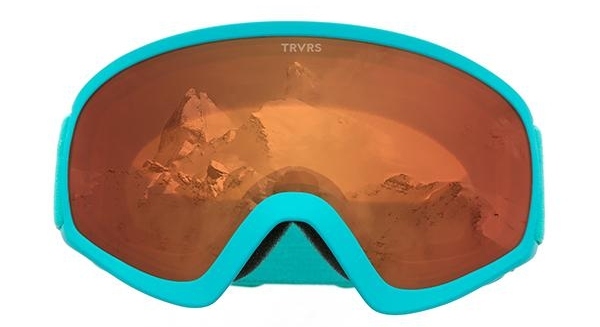 All Traverse lenses utilize our Stratus Anti Fog/Scratch Dual Lens Tech to create a thermal layer within the lens that keeps your view free of goggle fogging obstructions while preventing lens damage. Varia’s frame incorporates a durable yet flexible thermoplastic polyurethane frame with 10 built-in vents to provide unparalleled ventilation, which assists in keeping your vision clear and fog free. Varia seamlessly integrates with any helmet, but for unrivaled ventilation, it is best to pair with our Dirus (link to page) or Vigilis (link to page) helmets. 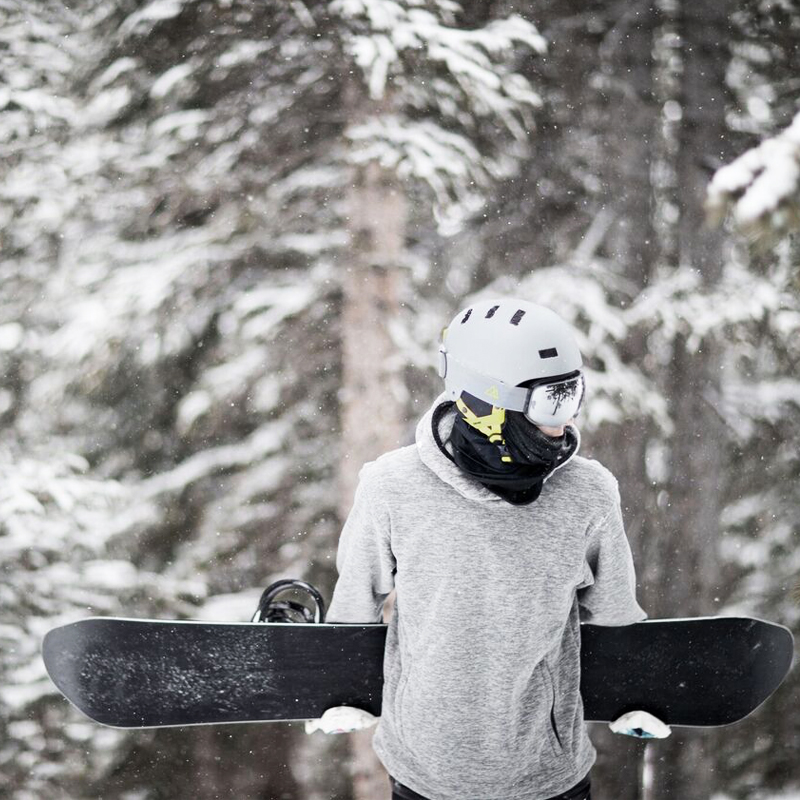 The frame also utilizes our Ternary Triple Face Foam to comfortably conform to your face and around the nasal arch, preventing any breathing interferences as you carve and slash your way through the snow. Be the person that says "yes" to every adventure, just don't forget the gear to get you there. Built with essential optic technologies for a perfect companion on the slope regardless of conditions. Bunny slopes to backcountry, Virgata provides you with first-rate protection and multiple interchangeable lenses to equip for any and all conditions. The smallest skiers/snowboarders on the slopes deserve the same protection and performance from their goggles as the pros. Iris has it all, for a tiny price.